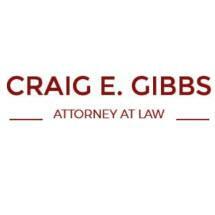 I am Craig E. Gibbs, and from my law office in New Orleans, Louisiana, I devote my practice to defending the rights and liberties of those charged with any type of criminal offense. Although I focus my practice primarily on criminal law, I also represent those going through divorce or who have some other family law matter they need to address. An attorney since 1992, I established my law firm in 1997 as a way to help those in my community in need of solid, effective advocacy in the face of serious, life-altering situations. As a former Jefferson Parish assistant district attorney, I have insight into the inner workings of the criminal justice system from both sides, which enables me to better challenge the prosecution's evidence against you and help you achieve the favorable outcome you seek. For more information on how I can best help you fight to preserve your freedom or serve your best interests in the face of a serious family law situation, you can contact me, Craig E. Gibbs, at my New Orleans law office to schedule a free initial consultation.